Followers of the Sikh faith in Fiji and around the world yesterday celebrat­ed Baisakhi, a festival which marks the founding of the faith. Also known as Vaisakhi, people of India’s Punjab region where Sikhism was founded, honour Baisakhi as a harvest festival and thanksgiving. 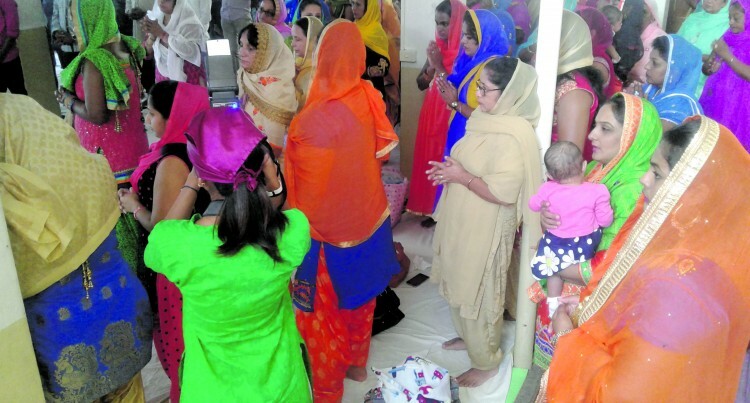 More than 300 Punjabi (Sikhs) joined the Baisakhi celebration yesterday at the Sama­bula Sikh Temple in Suva to mark this day. It was on this day that the 10th Sikh guru Guru Gobind Singh founded the Khalsa (the Sikh brotherhood) in 1699. Guru Nanak (1469-1539) was the founder of the Sikh faith and Guru Gobind Singh (1660-1708), the last guru of the Sikhs, laid the foundations of the Khalsa on the day of Baisakhi at Anandpur, a town in Punjab. “This is 94 years now that we are celebrat­ing Baisakhi. This gurudwara (temple) was built in year 1923 in Fiji,” Samabula Sikh Temple priest Bhai Preetam Singh said. “Before we used to do Bhangra (traditional dance), but due to lack of youths we have in our temple we are not able to organise that as part of our function,” he said. On this day devotees visit various gurud­wara and listen to kirtans (religious songs) and speeches.